Hi everyone! How was your weekend and your Mother's Day? I showed my mom I cared by taking her to high tea last week at the Talking Teacup, a cute tea room in a historic house. I had actually bought a groupon for this place a few weeks before. 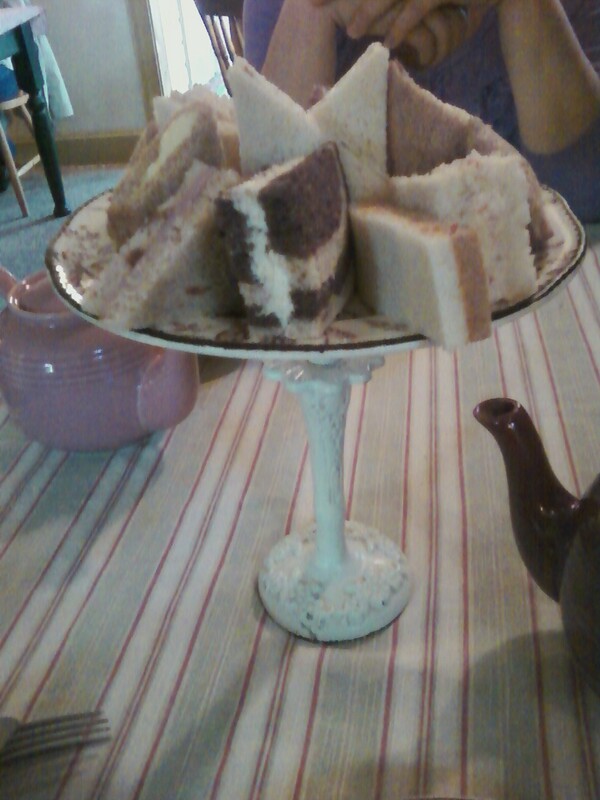 If you've never been to high tea, you need to try it! We had a great time! It's a four course meal, and each person gets a pot of tea. I had a rooibos tea called "Capetown," which was described as "balanced with hibiscus petals, rose blossoms, blue mallow blossoms and sunflower petals." It was so good! Even without sugar, it tasted slightly sweet and wasn't bitter at all. My mom had a Moroccan mint tea, and she said hers was good as well. First course was two kinds of scones: a chocolate chip walnut, and a lemon poppy seed, served with Devon cream and some kind of jelly. Both were very good. 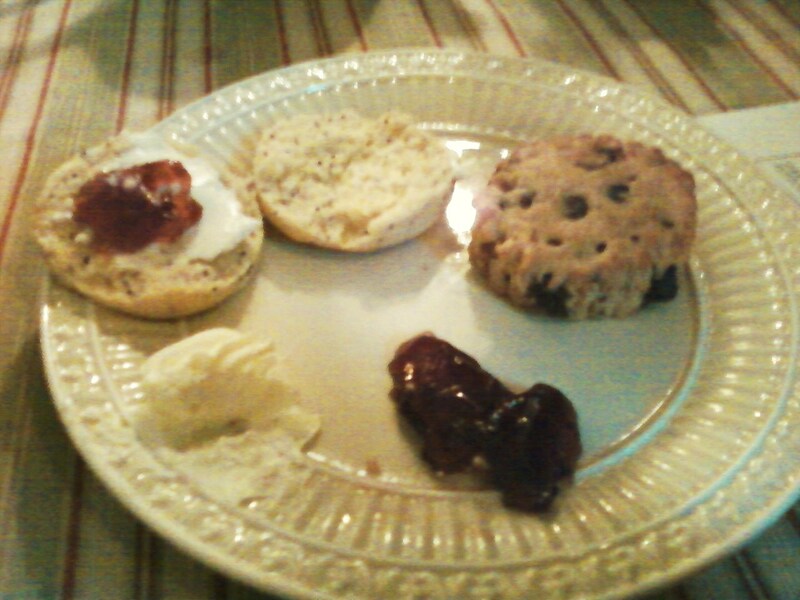 I hadn't had clotted cream in a while, so I was in heaven! 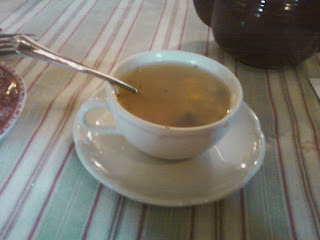 The next course was soup, and their soup that day was a chicken vegetable. It was just ok, a standard soup. 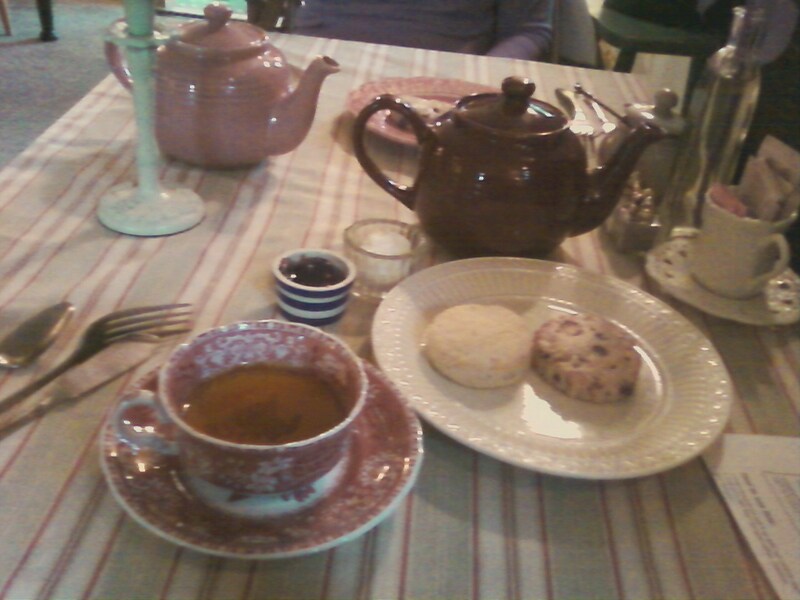 It was served in a teacup, which was a cute idea. Third course were the finger sandwiches. There were seven different kinds! A cucumber (of course! 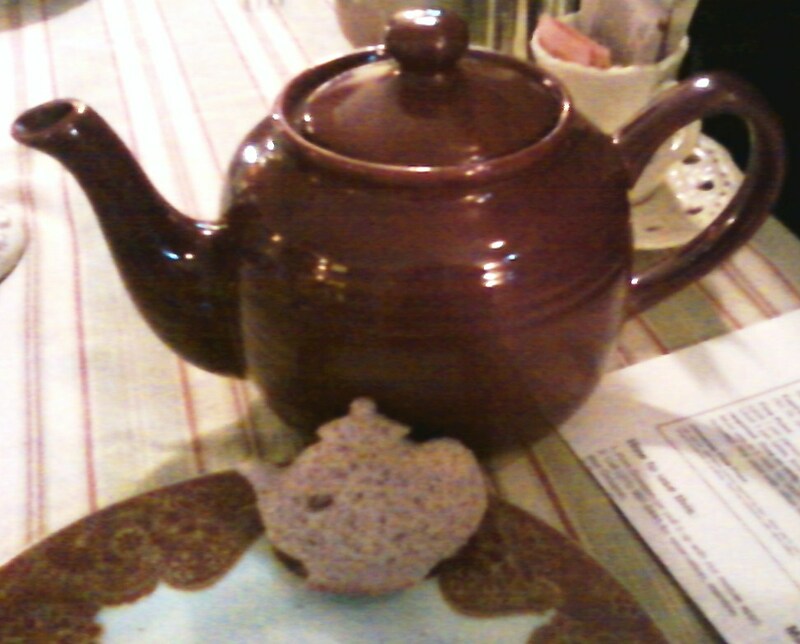 ), an egg salad, chicken salad, artichoke, turkey on cinnamon swirl bread, sun-dried tomato, and a raspberry cream cheese (in the shape of a teapot- how cute!) My favorites were the cucumber and the chicken salad, and my mom really liked the artichoke. I usually like egg salad, but theirs was bland and boring. Fourth was dessert. 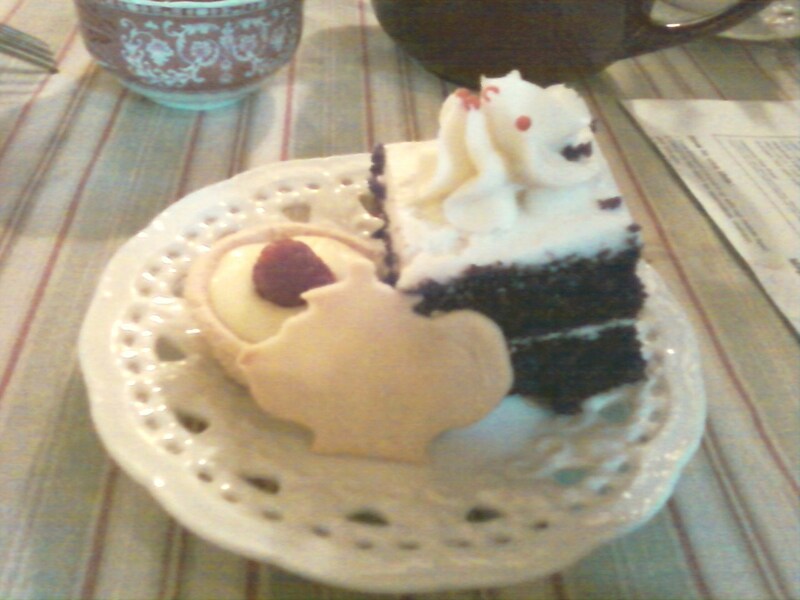 We got a piece of chocolate cake, a mini lemon tart, and a lemon shortbread cookie (again in the shape of a teapot). We were so full, we took the desserts home. I ate them after dinner, and I really liked them, especially the icing on the chocolate cake. A good icing makes a cake, don't you think? I would definitely do this again, it was a very nice way to spend an afternoon!